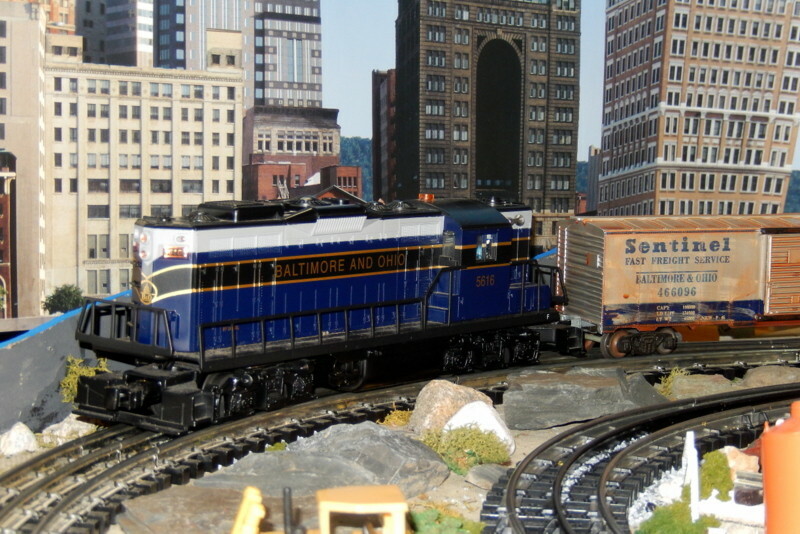 A GP-9 brings a short freight through town on the home layout. Photographed by Bill Hakkarinen, November 9, 2013. Added to the photo archive by Bill Hakkarinen, November 10, 2013.